See the different paint scheme? Probably there was more than one body. 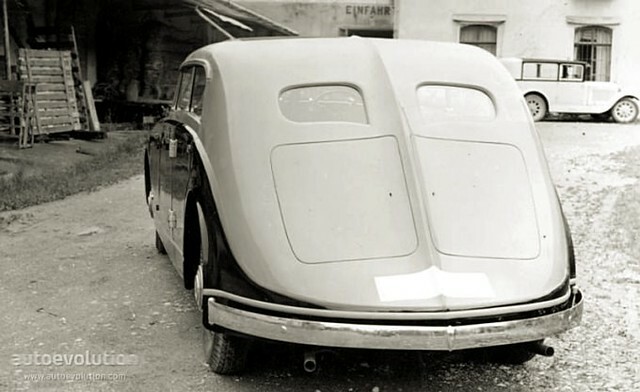 Besides, the car was advertised (which doesn't mean it was available commercially) in two variants, powered by 6- and 8-cylinder engines. 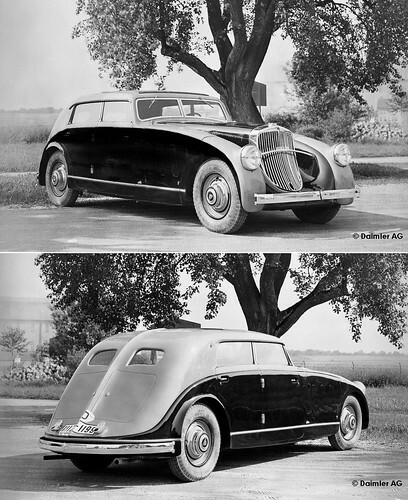 The fate of the Maybach Zeppelin streamliner (or streamliners?) remains a mystery. As far as yours truly knows, there are no survivors. But maybe some day, in some obscure barn... Can't we dream? I believe we can. I was intrigued by your piece on these beautiful machines, and by the assumption that none have survived. I wrote to Dr. Helmut Hofmann, the President of the Maybach Club in Germany, and received a very swift reply. 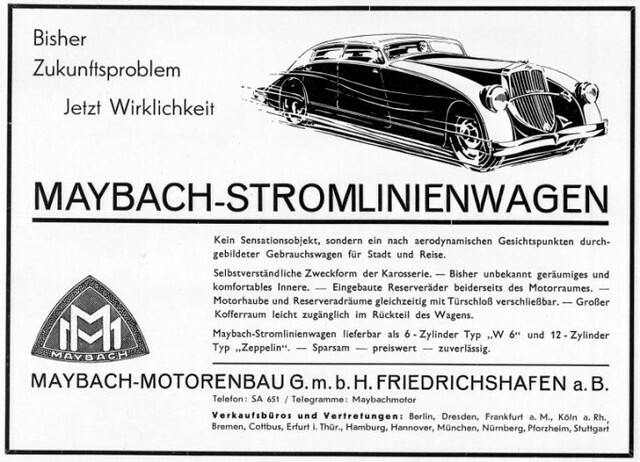 Sadly but unsurprisingly, he confirms that it is unlikely that any of the Spohn streamliners still exists, and even speculates that none were ever sold to customers, with either the 6- or the 12-cylinder engine. 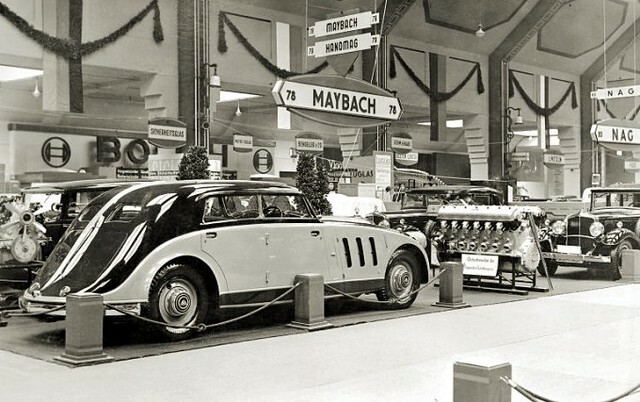 Since Maybachs (like other luxury marques) were built to order, perhaps they were never anything more than motor show 'concept cars'. Dr. Hofmann also referred me to the Maybach Museum's website - www.automuseum-maybach.de (there's an English translation) - which shows a building just as stylish as the beautiful cars that it houses. 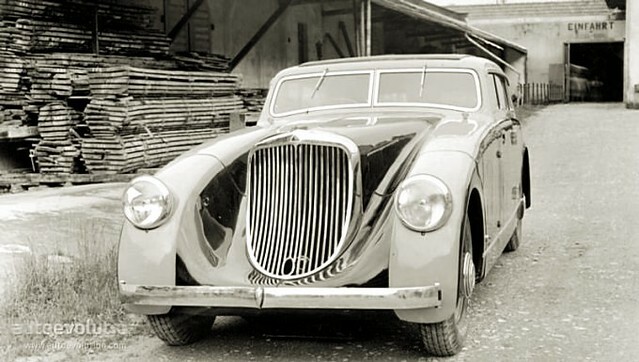 It's in Neumarkt, just south-east of Nuremberg, and the 16 cars on display there are not only Dr. & Mrs. Hofmann's own but also represent 10% of the Maybachs still in existence - of the 1,800 built. There is one exquisite 2-door convertible that you really should see. The Hofmanns also established and funded the museum. Give it a big spike right in the middle of the roof and it'd look like a WW1 Wehrmacht helm. 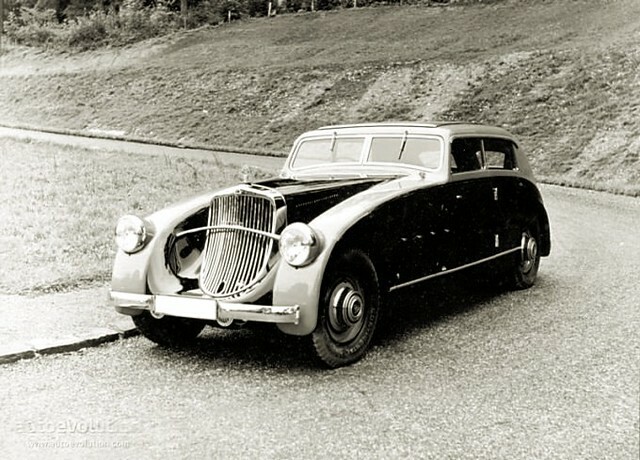 This is the car Kaiser Wilhelm III drives in an alternate universe. Really one of a kind. That spine is unique. Makes me want to buy an old barn just to see if there is one hiding inside! Thanks for posting. Art on wheels, mobile sculpture, I don´t know how define his beauty, Thanks for showing it.